I started crocheting years ago as a means to stay awake long enough to watch a movie at night with my husband. Fast forward about 5 years later and I've made that hobby into a business. 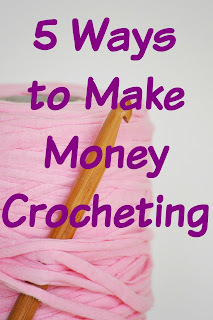 I'm here to tell you that, YES, you can make money with crocheting. It's amazing how these days you can make money doing your hobby, what you love to do. I'm proof that it's possible. Don't get me wrong though, there will be work involved, but as I continually tell myself with each new venture, you have to start somewhere! I will go over the 5 main ways in which you can make $$ with a crocheting business. 1. Word of Mouth - This is going to be your first way to make money. You're new to crocheting (or maybe just new to selling your items) and not many people know you yet. I would start of by giving away your items as baby gifts, this is what I did. I then made hats for my children to wear (I still call them my walking advertisers!). Eventually, family and friends will start to see more and more of your work. These are the people that will start everything off for you. They will tell their friends, or coworkers. They will see your children with an awesome hat that they want for their little ones. Soon, people will start asking you if you sell them and if you can make such and such item. Be honest with them. If they are asking for something that is just not in your wheelhouse yet, let them know. If you give them something that is not made very well because you just don't have that skill yet, then they will not recommend you to anyone. Make sure you are putting your best stuff out there so people can see your amazing quality of work! 2. 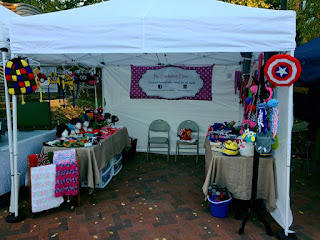 Craft Fairs - Start signing up for any craft fairs in your town, or even close surrounding ones. Some craft fairs can have a pricey entrance fee, so you need to take that into account when you are planning one. Have a large variety of items that you can sell to catch the eye of a variety of customers. Here is a good list of items to sell in the Spring/Summer, since these are usually the slower months for crocheters. Find a detailed list here of how to prepare for a craft fair! Craft Fairs are great for getting to know your fans and customers. You get to talk with them face to face and sometimes people are more apt to buy from you when they get this connection. You will also be able to see what people like and what they don't like. Pay close attention to which items are picked up, looked at, and how they react to pricing. You can have some expensive things at the fairs (I do brin ewr5tygt5e4g my mermaid tail blankets and elephant rugs), but make sure to also have items with a smaller price tag (hair ties, small stuffed animals, purses) and then everything in between (hats, toys, wreaths, baby outfits etc). I honestly love craft fairs for the two main reasons of getting to talk with your customers, and seeing what people are really interested in. 3. Online store - If you haven't done so already, you'll need to set up an online store. This is for people who are either out of town, or who want to use a credit card. Do some research and find with site is best for you. I've chosen Squareup.com because of their lower fees. Also, they have a nice mobile app that is very user friendly and easy to use credit cards for events such as your craft fairs! You may prefer to use Etsy for it's reach or FB because it's easy. Whatever you choose, make sure that you have your set prices with the items. You'll be able to decide if you only want to do local sales, or allow for shipping. For me, it's really exciting when I get sales from all over the country. It's just another way to show how far your brand has really reached. 4. Pattern Writing - As the years go on, and you are at the point where you really feel you are mastering the art of crocheting, you may want to start thinking about pattern writing. If you are creative enough to come up with your own patterns, I promise you, there are people out there who will buy them. This is one of my favorite things to do. I still get to be creative, and crochet, and once my item is made and written down, I can continue to receive income from it, over and over and over again. It does take time to figure out the pattern, write it down so that the general crochet audience can understand it, and testing it out, but it is well worth your time. I started writing patterns about a year and a half ago now, and it's awesome that I'm still receiving incoming from something that I havent touched in that long! My favorite places to sell my patterns is at Ravelry and Craftsy. 5. 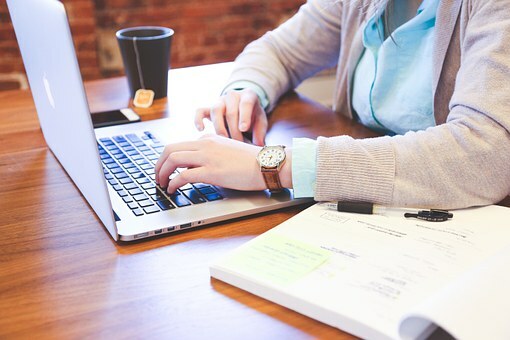 Blogging - This one will take a lot of time, but if you are passionate about your craft and enjoy writing then it is something you'll want to look into. Blogging can either be a hobby, way to promote your business, or another business in itself. I'm doing it for all 3 reasons. It is a great platform for your customers and fans to get to know you more as a person. 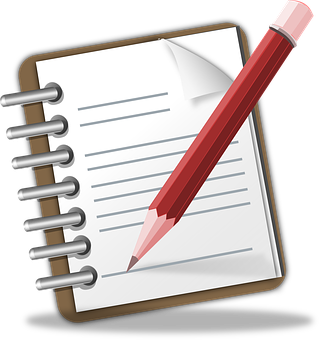 You can write about your craft, another topic you enjoy, or both, like myself. I write about anything that has to do with parenting, AND crocheting. I enjoy helping people learn different tips and tricks of the trade, as well as enjoying talking about struggles and solutions to all problems that parents may face. For me, it's a great outlet to connect with other people. Do you have a successful craft business? What is your favorite way to generate income from it? That's how I was too. My Grandma taught me when I was 14, but didn't pick it back up until over 10 years later! Great ideas! It's awesome when your hobby can make you money too! Crocheting seems to be a lost art in my neck of the woods. As a young boy, it was ll the craze and all my aunts were good at it. Keep on creating! It's definitely making a comeback. You'd be surprised how many younger people do it now! I tried to pick up crocheting when my friend had her baby a few years ago but the arthritis in my hands made it rough. Great post! Oh that's a bummer. Arthritis would definitely make that harder. I too have arthritis and I find it helps a bit to use my hands more... as the more i use them the more the pain eases... I really cant explain it. Yes It hurts at first but I just push through the pain and it subsides... or maybe I just get used to it, who knows... But I love crocheting ! Keep on creating beautiful things! Thank you for all the wonderful tips on how make it a business! I've tried to crochet, but knitting is more for me. I've been knitting for ten years, and I just opened a shop on Etsy in February. Your advice is spot on! The Etsy marketplace is so big! Selling close to home and giving gifts is a great way to get your fiber arts business off of the ground. I'd like to learn how to knit! There are some things that for sure look better made when Knitting! I haven't crocheted in years! Awesome tips on how to turn your hobby into something lucrative! :) As long as you love something, you will be successful! You should try and pick it back up! It's fun and relaxing. Once you get the hang of how to hold it, and the basic stitches it's really fun! This post is right up my alley! During one of my husbands deployments I started a crochet business. I made newborn photo props and sold them online and at craft fairs. I started having people ask me for patterns for certain items. It took me a bit to figure out how to write them, since all I had written down was chicken scratch, but now I love writing them! My mom does beautiful pieces and I have been wanting her to start monetizing. Definitely sharing this with her to give her that jump start she needs. She should! There's only so many crocheted things I could keep around the house. If she loves to crochet she could maybe just make some money and even donate it if that's the route she wants to go! hi, this is very encouraging. crocheting is my hobby but i have always been wondering whether i can make money from the range of items that i make. I'm a 58 year old grandmother and have been crocheting since I was 8 and in the hospital for 72 days because of 3rd degree burns. An aunt brought yarn and a hook and taught me, it really helped keep me busy and get through that rough time. I've been crocheting ever since. But, I always wanted to learn to make hats, handbags, totes and such but couldn't read patterns....and that's until I discovered YOUTUBE! You can find YouTube Tutorials for just about everything you can think of!!! FREE- Child Purse Crochet Pattern!!! Melissa and Doug have THE Best Educational Toys!